Free speech on campus is necessary for research, advancing knowledge, and preparing students for jobs and civic roles. Campus Free Speech expert Sigal Ben-Porath is available for comment. There is no Free Speech crisis on college campuses. President Trump has no reason to intervene with broad, overreaching tools by declaring a national emergency. His idea of withholding federal research money threatens every American because we all benefit from scientific and medical research done on college campuses. How would the Trump administration decide if a college is protecting free speech? Will there be a system to report violations to the government, and if so, who will verify the complaints? Will there be a committee? This is thought-police territory. The president is not the first to propose such a troubling idea. State legislatures have tried to prevent student protests ­— even though protest is a form of protected speech — and prevent protests on specific issues, such as Israel's policies toward Palestinians. Universities know some students, especially conservatives, feel they can't express their political views. Some minority students face bias and bigotry, and this can silence them. There is still work to do. But free speech on campus is necessary for research, advancing knowledge, preparing students for jobs and civic roles. It requires an ongoing dialog about ideas on campus in which all can participate. Attacks, vilification, and executive actions will do little to promote this goal. 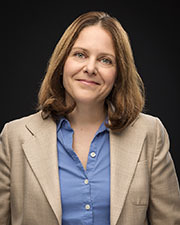 In her latest book Free Speech on Campus, Ben-Porath offers a useful framework for thinking about free-speech controversies both inside and outside the college classroom, shifting the focus away from disputes about legality and harm and toward democracy and inclusion. She is a professor of Education, Political Science, and Philosophy at the University of Pennsylvania Graduate School of Education. Ben-Porath is an expert on the role education plays in cultivating civic engagement in a democratic society, as well as on teacher preparation and professional development.